On the right side of my writing desk in my study is a black wooden bookshelf with thick, box-like sections where I keep books I need for my current projects. But on the wall in front, the wall that I face while I write, is a bookshelf on which are kept the books I know I will return to regularly. Those are the books that have made me who I am: they hold the key to the kind of writer I want to become. These titles are my personal classics. On the top of the shelf there is a boxed set of Paris Review interviews and the framed photographs of my two children, and below them, in the first row, a line of hardbound books in their white cardboard cases. These are the Library of America editions of Philip Roth’s writings. I like Roth for his monumental dumbness. His lack of understanding of the mystery that is his life—this also explains why he sometimes seems to be writing the same book again and again—is interesting because it is paired with a particularly male, even arrogant, set of certainties. The struggle for understanding is examined with great frankness. 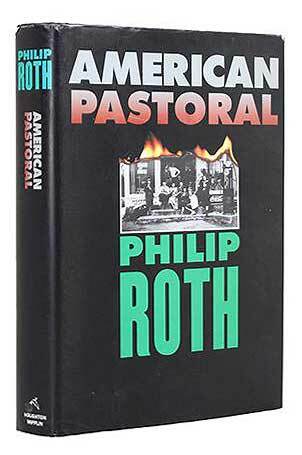 Roth generates enormous energy in American Pastoral by putting beside the voluble, expressive sharing of rage, and sorrow, and befuddled despair, an impressive array of precise observations. Think, for instance, of the detailed description of glove-making in Newark. English departments in this country are full of our betters. Roth teaches me to be a bit more honest.